March 2nd, 2006 (9:49 AM). Edited November 6th, 2007 by Christos. Winning HotY 2006, Pokémon Liquid Ocean became one of the most popular hacks of this community. Perfect mapping, stunning story, new challenges, all of that was created by Christos. Now, Matt NG joined as a co-worker and helps to make this hack even better. Now something from history. Originally, Liquid Ocean was hack of Emerald but dueto glitches the hack development was restarted and codebase was changed to BPRE. 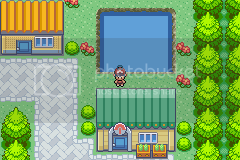 Based on the stable engine of Pokémon FireRed - BPRE, Pokémon Liquid Ocean will offer the ultimate game experience for everyone. The game code will be changed respectively to the new name. Pokémon Liquid Ocean will include following features, which may change during the development of the hack. 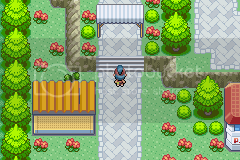 Beautiful region of Soala will offer a new view to the Pokémon world. Blooming with flowers and trees everywhere, Soala will offer very realistic look into the game. You will find some radios in some places. There you will be able to experience radio-based contests (Remember Buena’s Password? ), which may be tried only once per radio. 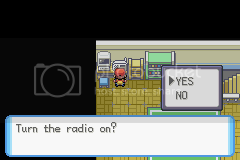 There will be a radio in player’s room and it will be the only one to change a radio station. You will hear some well-known ones from G/S/C and some completely new ones. Summarising, you will hear 5 different radio stations. The Pokémon Centre will be redesigned to cleaner, white style and Pokémon Mart will be orange styled. As the scripting is very important part of the hack, it will be the tool to change the quests and storyline. 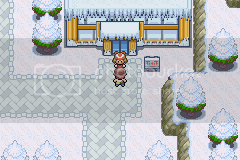 You may look forward to new, exciting challenges, new faces in Gyms and whole new Elite Four. We will see very nice palette of colours already included in early stages of pre-restart era. Yup, you will hear exotic D/P music in some places. Combining with right atmosphere, you will get perfect experience. But there is still possibility to hear completely new music. You first start at your hometown in Enzo, Legian town where you and your neighbour, May go to the route near the town. 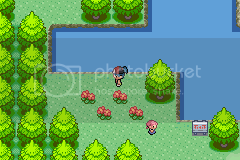 There you find a bag in the wild grass, you go closer and wild Pokémon run to attack you. 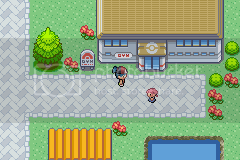 The bag contains two Pokéballs, May and the hero quickly take a Pokéball and start fighting. 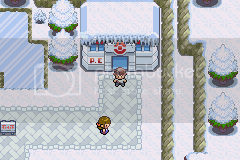 Then after the battle, Daisy Oak, who now lives at a small house in Enzo to discover the region's Pokémon species, finds you and Cindy and takes you to the lab. She lets you both keep the Pokémon you chose before and your quest begins. So, now it time to try alphas! Okay, Pre-alpha and alpha. Both are from pre-restart era so they are for Emerald codebase. New pre-alpha was released on August 7th. Patch of Fire Red. March 2nd, 2006 (10:19 AM). 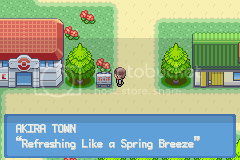 ...o_o This seems far more suitable for ROM hacking, so I'm going to move it there. March 2nd, 2006 (10:24 AM). It looks good.Keep it up! March 2nd, 2006 (11:22 AM). Edited March 3rd, 2006 by Christos. March 2nd, 2006 (11:26 AM). March 2nd, 2006 (11:47 AM). I made that myself I did. March 2nd, 2006 (12:09 PM). 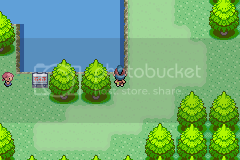 Looks ok but you really should change the sprites, i'll help, if you can help me actually hack XD. March 2nd, 2006 (6:26 PM). This is a pretty ok hack, not bad! March 2nd, 2006 (6:49 PM). 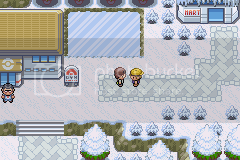 too many hacks, with new pokemon, heh, not my chose in games. I am also known as Djvolcom, djknitex, Knitex,on various forums, and Sam only on mirage realms. March 2nd, 2006 (10:32 PM). nice concept and very nice screenies Christos.Good luck with your hack. March 3rd, 2006 (4:25 AM). Edited March 3rd, 2006 by Pazuzu. 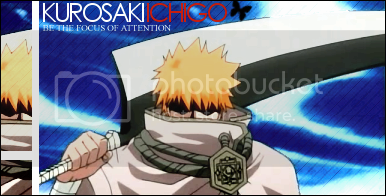 Kakashi Hatake:how can I help you hack? March 3rd, 2006 (12:47 PM). It's good but it's not great. When I see more screenies, I will give you what I think. March 3rd, 2006 (2:33 PM). 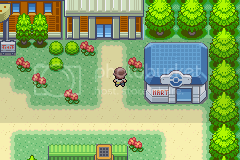 Well you seem to know how to modify roms and that, i on the other hand can only make the graphics like pokemon sprites, etc. March 3rd, 2006 (2:41 PM). March 4th, 2006 (4:36 AM). Edited March 4th, 2006 by Pazuzu. March 4th, 2006 (5:21 AM). That was good. Can't wait to play it! March 4th, 2006 (6:31 AM). Im new to the whole hacking business. what you have is good. i can make sprites if you want me to make you some just PM me with a list and description. March 4th, 2006 (8:00 AM). March 4th, 2006 (10:30 AM). Chronix:Can you do overworld sprites? If it's not hard for you can you do a battle Sprite for a Team Tornado Grunt with white and light purple clothes.Do it however you like but make sure it looks like he is a flying pokemon trainer. March 4th, 2006 (11:04 AM). 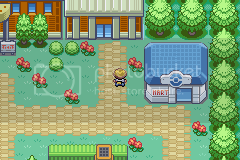 I'm good at most sprites, pokemon, trainers overworlds etc. March 4th, 2006 (11:25 AM). 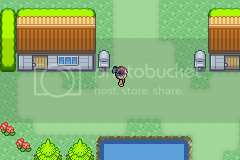 Kakashi Hatake: If it's not hard for you can you do an overworld Sprite for a Team Tornado Grunt with white and light purple clothes.Do it however you like but make sure it looks like he is a flying pokemon trainer. March 4th, 2006 (11:30 AM). Got a base sprite you want me to work off from? March 4th, 2006 (11:42 AM). Edited November 6th, 2006 by Christos. March 4th, 2006 (11:44 AM). 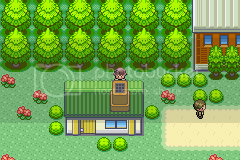 You are wanting me to do the trainer sprite as well? March 4th, 2006 (11:48 AM). Edited May 22nd, 2008 by Christos.